Kalifornia Love: Milani Crystal Eyez Sparkling Eye Shadow in "Lovely & Luminous" and "Stunning & Sparkly"
Milani Crystal Eyez Sparkling Eye Shadow in "Lovely & Luminous" and "Stunning & Sparkly"
I was wondering if there was anything on the market that could give me "glitter eyes" like Stila's Jewel Palette so I picked up 2 tubes of the Milani Crystal Eyez Sparkling Eye Shadow. 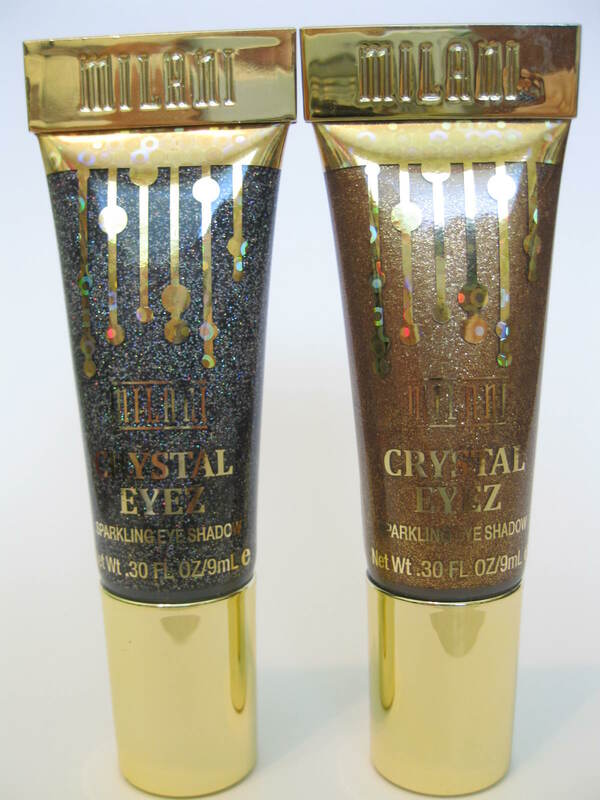 The Packaging: Unlike the Stila Jewel eyeshadows, these come in tubes. 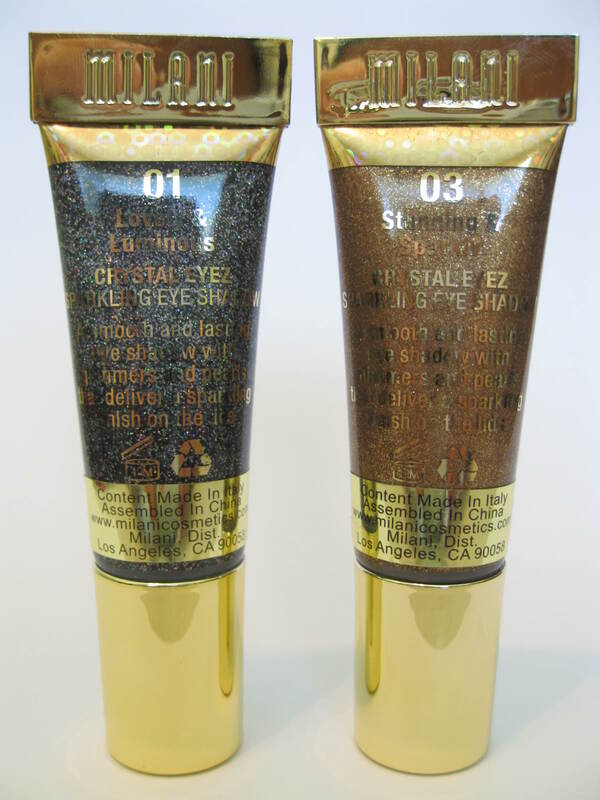 The clear plastic tubes display gold designs and font. The gold "flaps" at the end are actually hard, heavy, and metal/metal-like -not light and plastic-y like other plastic tubes. 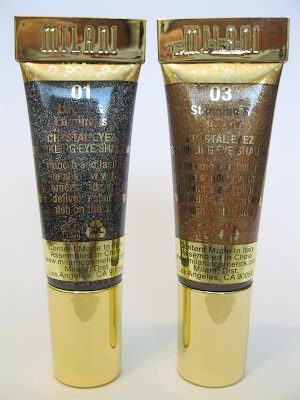 Also, the applicator of each tube is thin and pointy, allowing for easy product control. 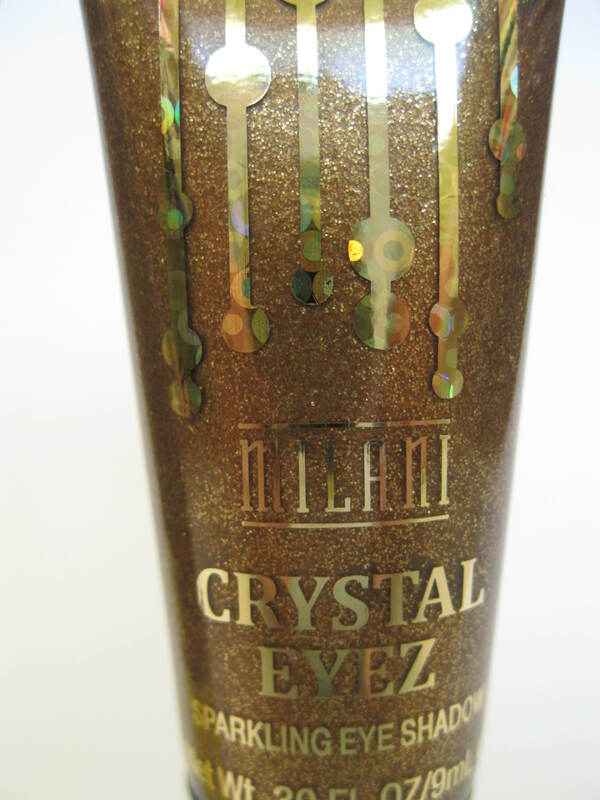 The Product: Milani describes this as "a lasting eye shadow with glimmer and pearls that delivers a sparkling finish on the lids." 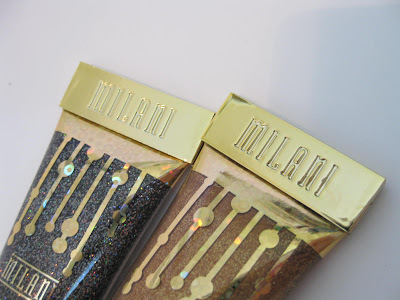 First off, Milani lists this as an "eyeshadow" -it's in the name. 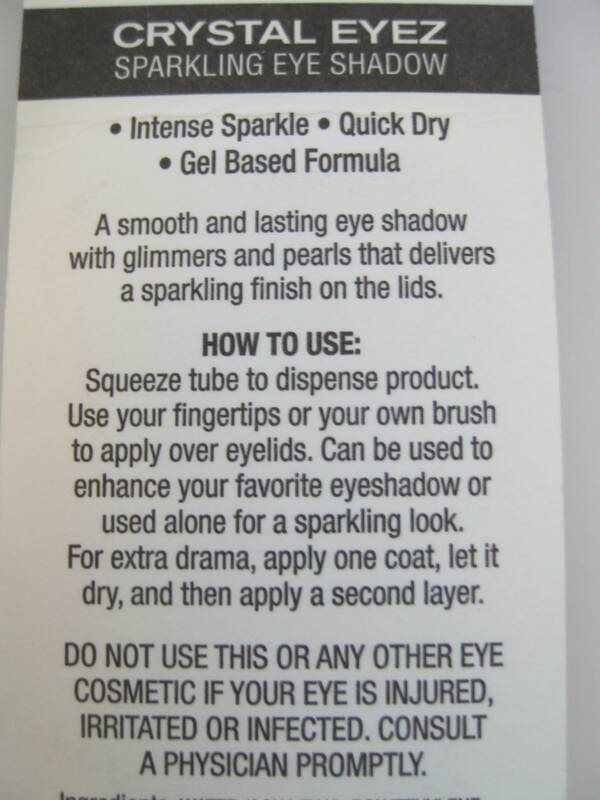 This is more of a glitter gel if anything. 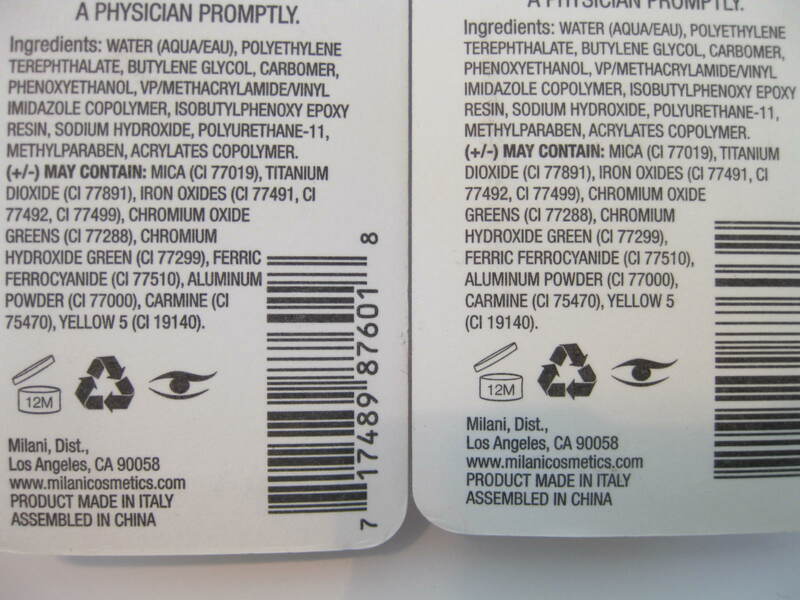 Immediately once the product is applied, my skin starts to itch but luckily after a few seconds, the itching stops. It stays put once it's dried and there's no fallout (it's easily removed with baby wipes.) 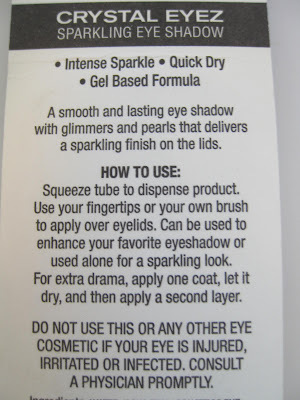 I don't like that the glitter particles are rather big and obvious -especially with Lovely & Luminous. I wish the glitter was just finer and that there was more of it -it looks weird that there's random patches containing large glitter particles and then clear glitterless spaces inbetween them. 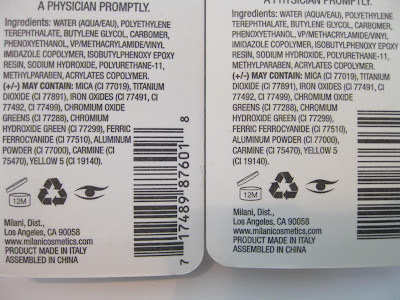 To fix this, you just add another layer of product on top -but it would be nice if I only had to apply one layer. When applied on top of eyeshadow (with a brush or your finger), the gel sort of sheers out the eyeshadow underneath and lightens it. I don't like this -this doesn't happen with the Stila Jewel Palette eyeshadows. 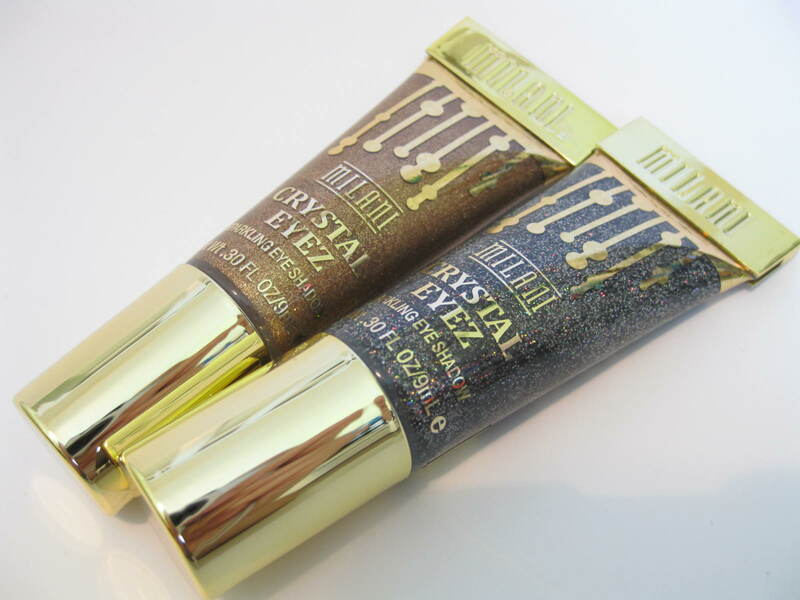 As for the wear time of these, they last all day applied over my primer and eyeshadow. 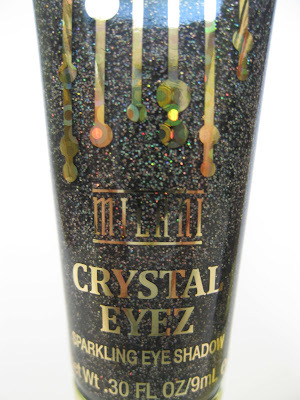 The Color: The glitter particles in Lovely & Luminous are bigger than the particles than Stunning & Sparkly. 2. 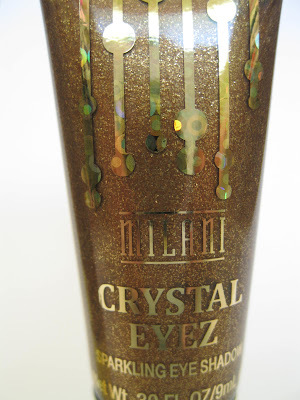 03 Stunning & Sparkling- Not blended, the gel is a golden bronze with gold glitter. Blended, the gel becomes almost clear. The glitter in this shade is finer and there seems like there's more of it. Because all the glitter is gold and not mulitcolor, the color is a bit flat -but still decent. Overall: These are decent for the price you pay. 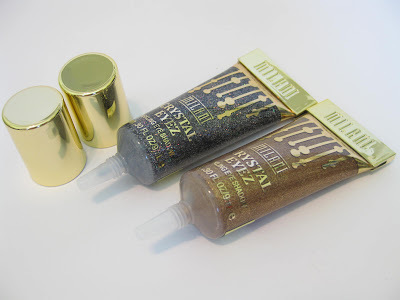 Although I wish the product contained more and finer glitter and that it didn't alter the appearance of my eyeshadow (when worn on top of other eyeshadows), these get the job done and give your eyeshadows some sparkle. The glitter wears all day, doesn't budge, and there's no fallout. An extra bonus is the fabulous packaging and ease of use -something that helps boost up the grade.